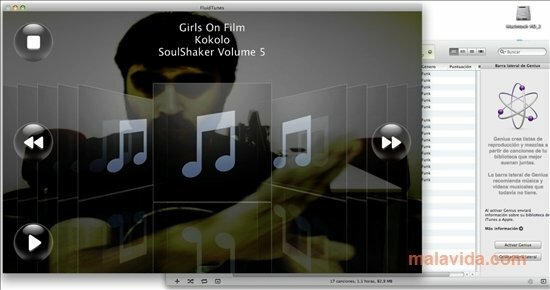 FluidTunes allows us to control iTunes by means of the webcam integrated in Mac computers (iSight). This function can work out rather strange to use in our day to day, but if we do so in a more festive situation is can be a real invention. 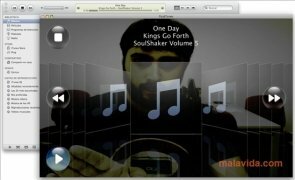 How it works is very simple, the image captured by iSight will occupy all the program's interface and we will see the coverflow interface superimposed, with all the disc covers that we want as well as the basic playback controls. 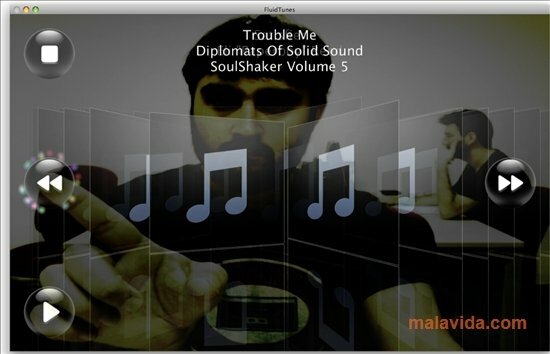 We will simply have to select the album that we want to use from the iTunes library with our movements. And all of this viewing our image on the screen. The use of the FluidTunes interface is terribly natural, because it detects all the gestures properly, thus, moving our hand from side to side very quickly on the coverflow interface will make the discs pass quickly and if we "press" the play button, the button will change color and become illuminated. 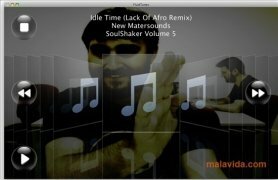 All in all, an application that can cause a real sensation at parties and friendly meetings, that will make everyone want to choose the next song that you are going to play. It's necessary to have iTunes installed.